Of the three countries that make up Scandinavia, Norway is the one to get lost in, and find oneself along the way. Renting a car is the way to feel this in the most authentic way. There is something about driving the roads of a new place that creates an eager sense of anticipation. 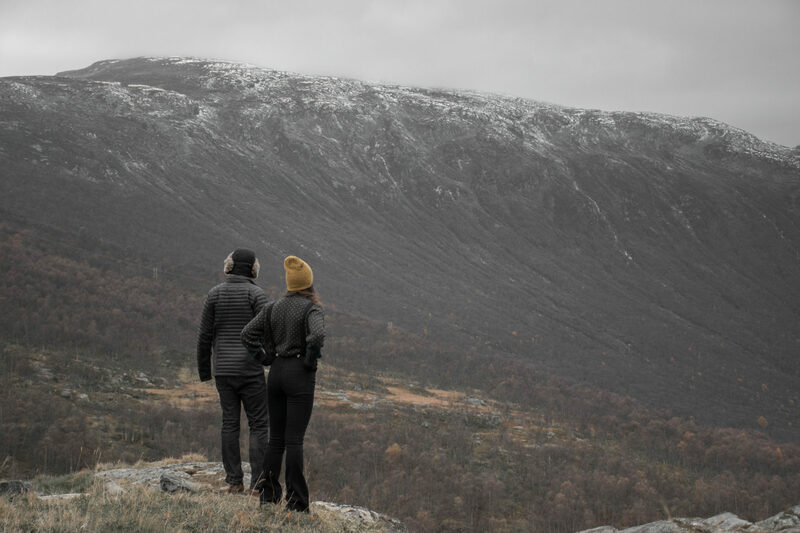 Norway offers that, but with a different, more isolated feeling of anxious adrenaline for seeing what is around the next mountain pass or at the end of the next tunnel. Whether it is driving cliff-side roads in the dark at 2 am, waking up with the sun atop a foggy open road with not a soul in sight or pulling over to stare up at a massive waterfall 100 yards off the beaten path, the car is key to experiencing the persistent allure this country has to offer. Driving the roads of Norway offers an opportunity to redeem ones wanderlust and dive into an untapped realm of personal freedom. The most common and affordable airport to fly into is in Oslo. 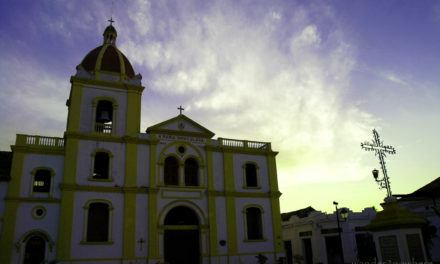 After leaving the airport, the town of Laerdal is a great first or second night destination, about a five-hour drive. About an hour and a half into the drive one will reach a cute lakeside town, called Jevnaker, a perfect stop for a little leg-stretching walk around the water. A cup of coffee with a view is probably necessary at this point and for a hearty snack don’t miss the “pancake haus”. About two-and-a-half hours from here is the scenic ski village of Hemsedal. The Hemsedal Café is an iconic spot, where one can engage in a cozy setting of sipping espresso on the big brown couches while peering out the huge ice-caked windows while the ski slopes receive a dusting. Not only does this ski slope hub offer excellent coffee, the house-made “rum”-old fashion or the fresh gin and lemon cocktail are two great options. Laerdal is less than an hour from here. This is a beautiful drive, with various bridges to ramble along and half frozen, snow-dusted (depending on the time of year) rivers and waterfalls. The reflections on the glass water are spectacles not to miss. 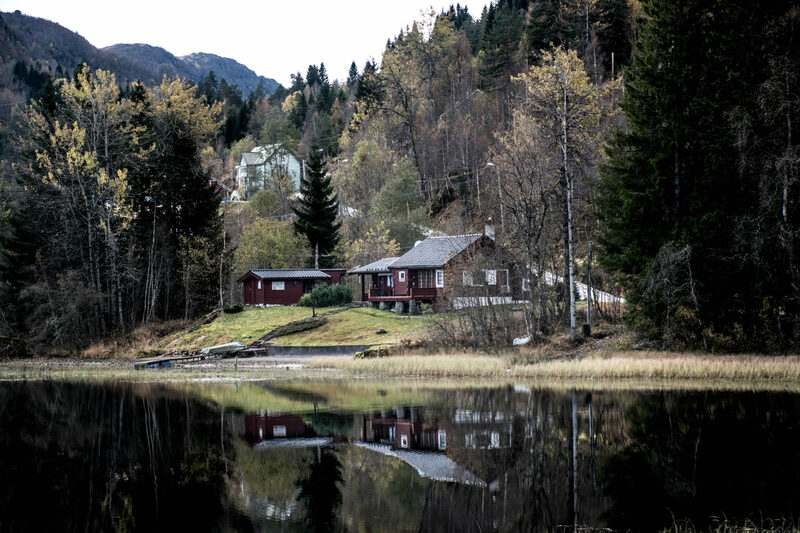 The quaint and quiet town of Laerdal offers feelings of pure liberation. The true enormity and power of Norway’s massive fjords paired with a subtle peacefulness can be strongly felt here. Waking up in Laerdal the next morning feels like a dream. 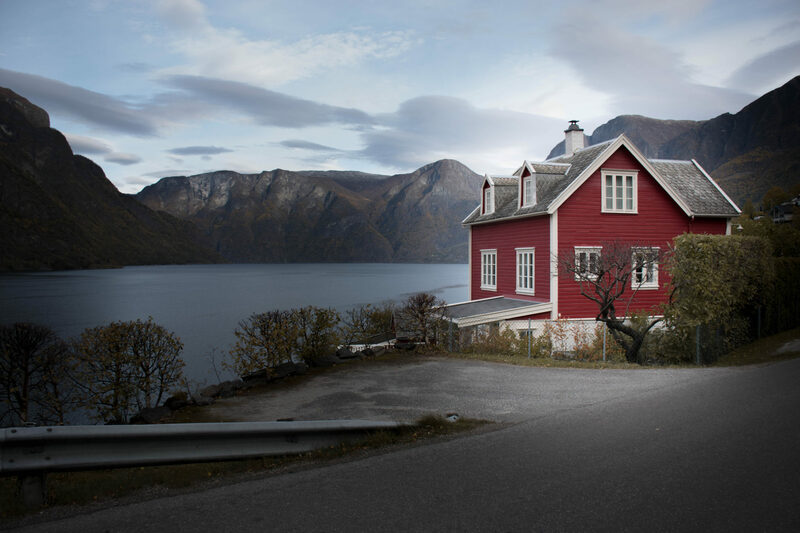 The every-growing but modestly charming tourist town of Flam is just an hour away. This drive is nothing short of interesting. Driving through the world’s longest road tunnel will be the highlight. Measuring in at 24.5 kilometers, this tunnel spits cars out in Aurland. 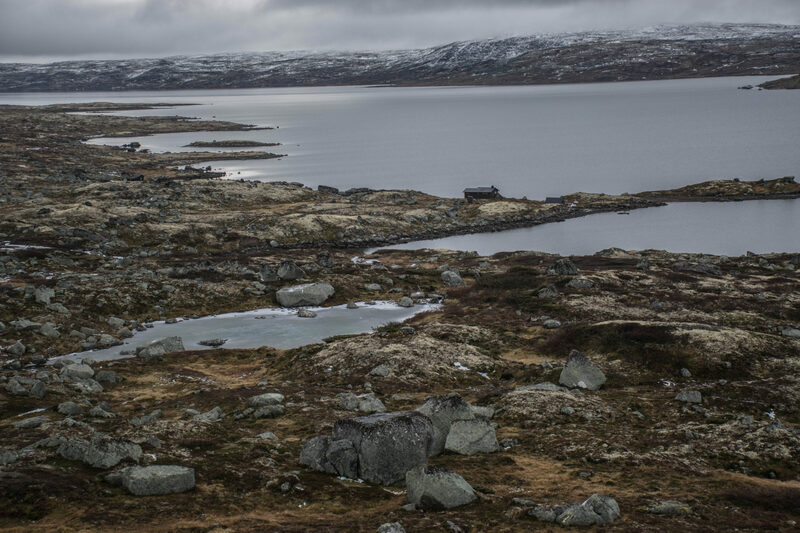 This authentic Norwegian town is where with the old “snow road” begins. This is a winding road, steep and narrow, with various outlooks that are ideal for watching the sunset. This used to be the only route to Flam, before the tunnel opened in 2000. Before adventuring along this road head into Flam for a day in the Fjords. Flam is a small village nestled in the Aurlandsfjord, which is a branch of the Sognefjord, recognized as Norway’s largest fjord and a World UNESCO heritage territory. The 205-kilometer fjord is a great place for a boat ride. The best boat one can gear up for and hop on is the Heritage boat tour through Fjord Safari. Ask for Eleanor as a guide. Her mass accumulation of knowledge, kind personality and subtle humor keeps the crowd on their toes. This is a speedboat, so be prepared for wind-blown hair, a cold nose and an indescribable appreciation for the surrounding territory. On a good day, one may even spot a baby seal perched beneath a rushing waterfall. From here, one must head to Bergen, about about a 2 hour and 45 minute drive from Flam. 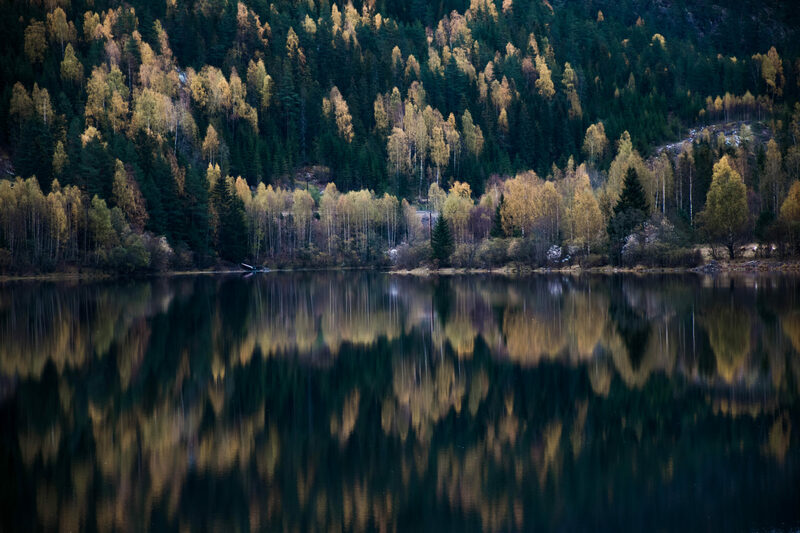 Along this drive is the riverside town of Voss, which is one of Norway’s ski meccas, as well as the small authentic town of Dale, where few people speak English. The coastal city of Bergen feels more like a large town, mostly due to the kind and welcoming people who live there. 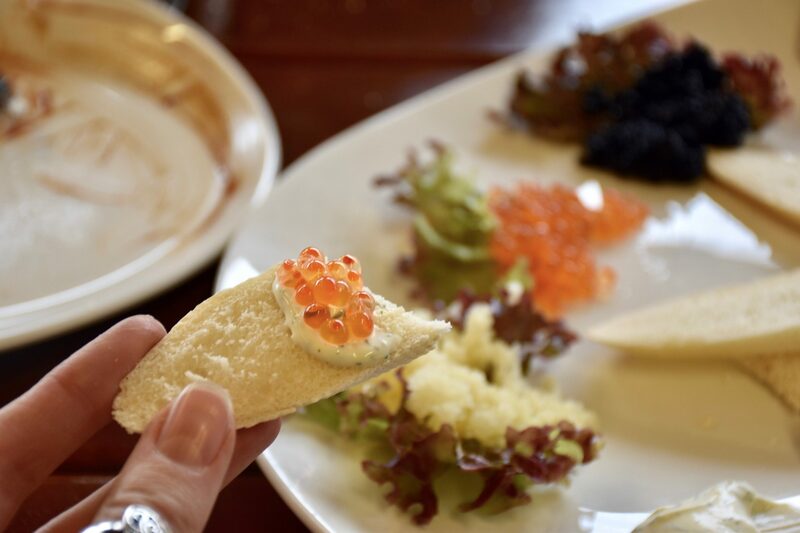 The fish market is a must-do attraction, as it offers many unheard of food options, including varying flavors of caviar and the local delicacies of sheep head and brown cheese. Norwegian beers are available as well as bottles of wine and espresso. Indoor or outdoor seating are offered along the marina creating a fresh and inviting ambiance. There are plenty of helpful locals ready to give advice and samples as well as share some of the authentic favorites. It is easy to spend a couple days exploring this waterfront city and it would be even easier to never leave. From whiskey bars, to morning espresso, the cobblestone streets of Bergen do not disappoint. Bars are open late and the locals don’t let visitors miss out on a good time. One might get lucky and get invited to a “Naschbeil”, what Norwegians call an after party. Staying out until the wee hours of the morning can be fun but be careful not to sleep through the hostel’s check out time! And now it is time to head back to Oslo! 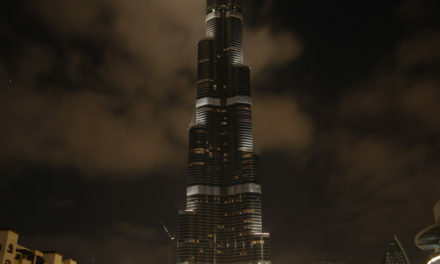 Make sure to explore the city before heading back to the airport. Why rent a car and take this route as opposed to a train, plane or bus? It costs a little over $400 to rent a Toyota Yaris for five days. That is including all toll costs and gas driving from Oslo to Bergen and back to Oslo. Totaling over 700 miles. Saving the world one Hybrid at a time! The efficiency of this car means only filling up the gas tank about two to three times while driving the entire lateral width of the country. It is about a seven-hour and $115 train ride from Oslo to Bergen. That may seem as though it is a better deal. But hold on; let’s do some math. That is only a one-way ride. In order to get back to Oslo for a return flight, one must book another train ride. So now the total cost of travel is about $230. Still, not too bad. But that is $230 per person. Traveling to Norway with a buddy is more fun, but train costs would stay the same. On the other hand, renting a car means splitting the cost in half, which is about $200 per person. Add another friend or two, and the total cost of travel is less than $100.00 for transportation all around this beautiful Nordic country. 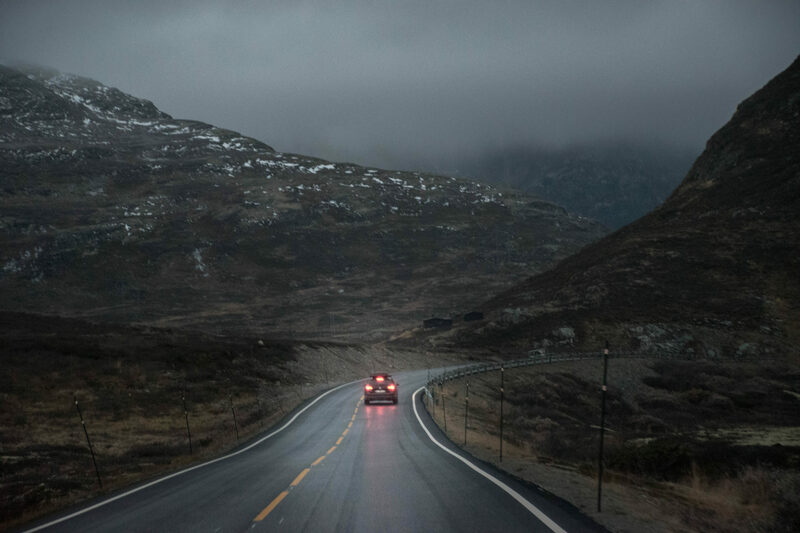 The freedom that comes with driving a car is undeniably necessary in Norway. There are countless places one will want and need to stop. From pulling off the side of the road as it is snowing to watch four deer ramble in the woods to watching sunsets atop steep winding fjord side farm roads and everything in between, renting the Toyota Yaris is the second best choice one can make during a trip to Norway, right behind driving through the 25km tunnel three times in 24 hours. 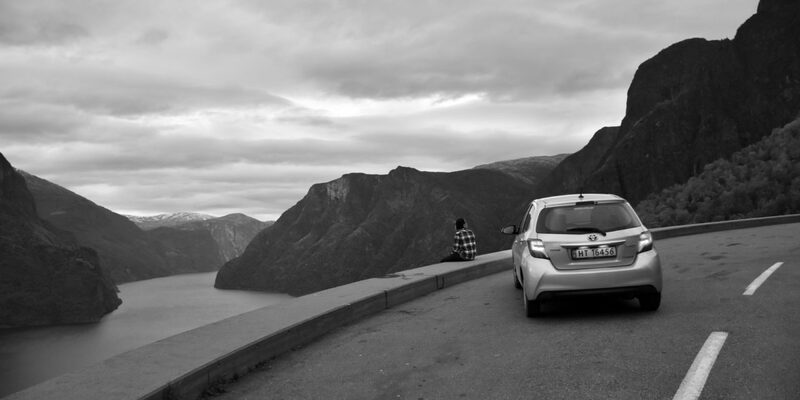 The views atop winding fjord side roads are out of the question without the trusty Yaris. I want to go to Norway after reading this!